I Just Want to Pee Alone: Don't Pinch My Baby's Cheeks! Don't Pinch My Baby's Cheeks! What is with strangers touching my kids? I don't mean touching-touching, because that's nothing to joke about. I mean people coming up and patting my son's head with their grubby mitts, pinching my daughter's chubby cheeks, or trying to hold one of their cute, irresistible hands. Resist, I say. You're being weird. I was checking out at the grocery store the other day, with my daughter in the baby carrier and my son pulling every pack of gum off the rack. "Leo!" I shouted, as I turned to reprimand my son. 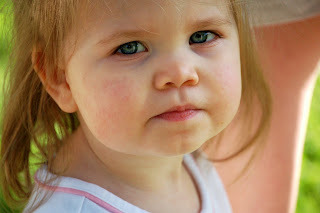 When I turned back, the cashier was holding my daughter's hand, cooing at her and telling her how cute she is. Lady, tell her something she doesn't know. Then get your germy money-touching paws off her! Also, not to be a snot but those groceries aren't going to ring themselves up. Could we do a little more grocery-ringing-up and a little less baby-hand-holding? I turned back to make sure Leo hadn't knocked over the entire candy shelf and saw that an employee was helping him replace the products. Thanks, dude! Then he pinched Leo's cheeks and told him to be good. Ew, no thanks! I know I'm being germaphobic but yuck. I don't know the last time that store employee washed his hands, but it certainly wasn't between the time he (nicely, I admit) picked up the candy from the floor and then touched my baby boy's cheeks. We left the grocery store and walked home (perk of living in a big city—walking home with your groceries AND two kids in tow) and passed one of the neighborhood drunks on a bench (even bigger perk of living in a big city). "Hey there, little boy!" the drunk said, slightly slurring his words. We were on a narrow sidewalk, so our only escape route would have been to jump in front of oncoming traffic. I tried to speed our trio along, but Leo was intrigued by this funny-talking stranger. As he slowed for a look, the guy patted Leo on the head and said, "Good boy." What? He's not a dog! And if the drunk had witnessed the candy fiasco in the supermarket he wouldn't have called Leo a good boy, either. But the worst part was—you guessed it—the touching. Maybe I'm just paranoid, but I don't think strangers should be touching other people's kids. How many times have I seen a sweet little cherub with cheeks good enough to eat? Yet I always refrain from actually touching the cutie-pie. And in a world full of weirdoes, I'm probably one of the least weird ones. I'm clean, friendly, and not usually drunk. As we neared our apartment, another bold soul approached this mama bear and her cubs. This time, a kind-faced elderly lady. "Her hat is in her eyes," she said, as she brushed my daughter's hat up off her forehead. She winked and scurried off before I could growl, "Don't touch her!" As I watched Mrs. Nicey Pants stroll down the street I considered that perhaps her action had merited a thank you, and was glad I hadn't snapped at her. I suppose not all strangers gross me out. Just most of them. Vicki Lesage proves daily that raising French kids isn’t as easy as the hype lets on. In her three minutes of spare time per week, she writes, sips bubbly, and prepares for the impending zombie apocalypse. She lives in Paris with her French husband, rambunctious son, and charming daughter, all of whom mercifully don’t laugh when she says “au revoir.” She penned three books in between diaper changes and wine refills:Confessions of a Paris Party Girl, Confessions of a Paris Potty Trainer, and Petite Confessions. 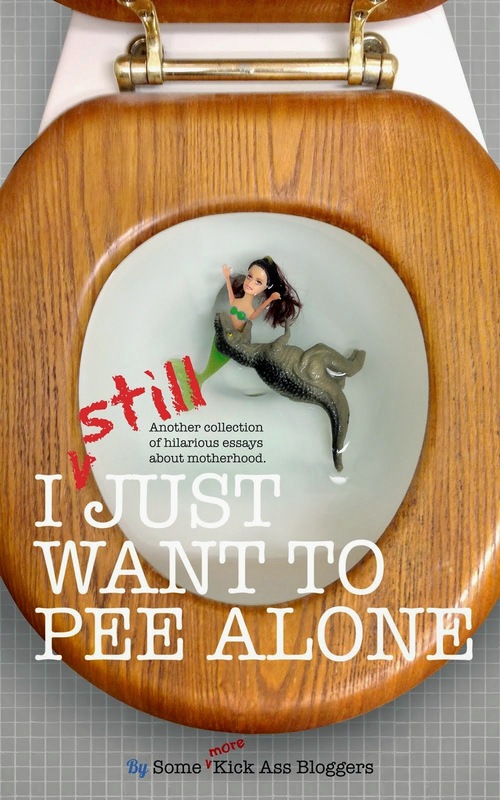 She also contributed to the anthologies I Still Just Want to Pee Alone, That’s Paris, and Legacy. She writes about the ups and downs of life in the City of Light at VickiLesage.com.